Not a member? Interested in becoming one? Visit the ADM website for information on how to become a member today! Note: If your credit card is declined, please contact your credit card company to allow the International Transaction. Elective events require a reservation. Attendance for these events are limited and based on availability. Welcome Reception is reserved for ADM Meeting Registrants – only those with a meeting badge will be allowed to attend. ADM conference registrants and guests are invited to a dinner buffet provided by the Four Seasons Hotel. Cancellation: The Academy of Dental Materials (ADM) reserves the right to cancel, shorten, delay, or otherwise alter or change the meeting at their discretion. If the entire meeting is cancelled the sole obligation of the ADM is to refund fees paid to the ADM for the meeting. If the meeting is delayed, shortened or otherwise altered or changed the ADM shall make registration refunds on a case-by-case basis at the sole and absolute discretion of the ADM and is under no obligation to refund conference registration fees. Fees will only be refunded to the person who paid fees, by the same method as the original payment (i.e. credit card, check, etc.) and in the case of a credit card only to the same credit card used to pay fees. The ADM is not liable for direct, indirect, incidental, consequential, exemplary, punitive, or damages of any other kind, regardless of the nature of the cause of action that may be asserted. The ADM is not responsible and shall not pay for costs associated with travel, airfare, lodging, food, transportation or other costs or losses incurred by a registrant in connection with the meeting or as a result of the meeting being canceled, shortened, delayed, or otherwise altered or changed. Registrants are solely responsible for such costs and losses and it is recommended that registrants consider purchasing sufficient insurance to cover such costs and losses.  Under no circumstances shall the ADM liability to any registrant exceed the registration fees paid by the registrant to ADM in connection with the meeting. Refunds: Requests for refunds must be made in writing by the deadline date, which is 6 weeks prior to the start of the meeting; telephone cancellations will NOT be accepted. Refunds or credits will not be given for failure to attend, late arrival, unattended events or early departure. Refunds will be processed as soon as possible, but no later than 8 weeks after the meeting. If you submit a written cancellation request prior to the deadline, a refund will be issued less a $50 cancellation fee.